The upcoming Legend of Zelda: Breath of the Wild expansion still doesn’t have a release date, but Nintendo has been kind enough to provide some details on what you can expect from the new Zelda DLC. 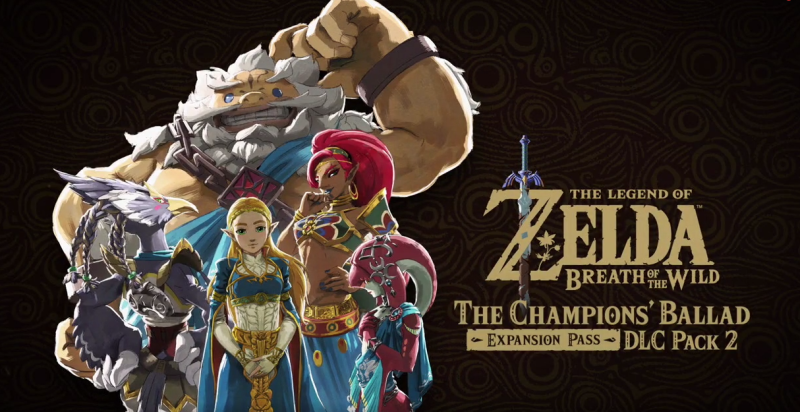 According to Nintendo, the Champion’s Ballad will be more of a story-focused expansion than the previous DLC, The Master Trials, which focused on adding extra items and combat to the game, along with a harder difficulty mode. The Champions’ Ballad is expected to revolve around the game’s central story, with a setting after Ganon’s defeat. According to Eiji Aonuma, the expansion will expand on the story shared through Link’s captured memories, which were a central part of the narrative of the game. Aonuma also confirmed that players will still control Link in the expansion, although the story focuses more on external characters such as Zelda. Nintendo have also announced that the expansion will include new clothing for Link, such as the lobster shirt from the Wind Waker. Breath of the Wild is one of 2017’s top-selling and best reviews games, earning an impressive 97% rating on Metacritic. Nintendo announced earlier this year that the game has sold upwards of four million copies, making it by far the top-selling title for the new Switch console. The Master Trials, an earlier DLC pack, was released earlier this year as part of Nintendo’s DLC pass. During a recent Nintendo Direct, the company announced that the new DLC will release at the same time as the latest Champions amiibo. Like other amiibo, the Champions amiibo are all scannable, unlocking new items, materials and weapons in Breath of the Wild. As for the Champions’ Ballad’s release date? Well, Nintendo is still keeping quiet on the exact day we can expect the new DLC. However, with Super Mario Odyssey out next month and the Champions’ Ballad due in “summer”, it’s going to be a fun few months for Switch owners.